I like solving riddles !!! The concept is easy to understand.... There are 3 lions and 3 wildebeest trying to escape from a wildfire.They reach to a a crocodile-infested river. So to cross the river there is a raft nearby. It can carry on or two animals at a time. But there is one problem.... If the lions ever outnumber the wildebeest on either side of the river, the lions will eat the wildebeest(s). 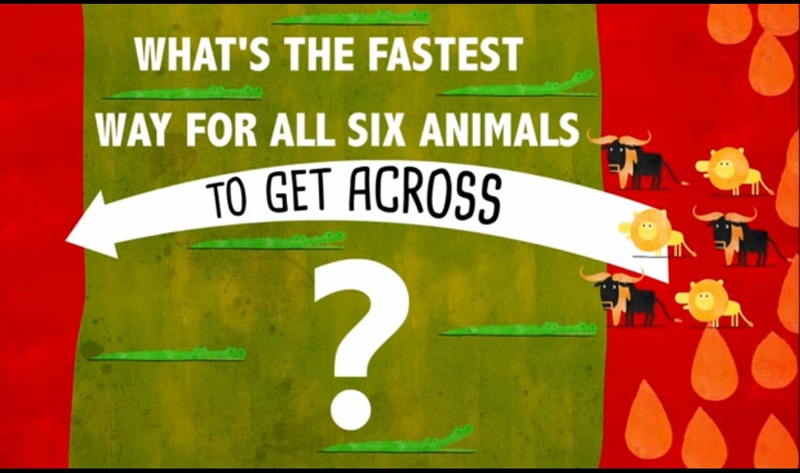 What is the fastest way to get across all of the six animals without the lions having dinner the wildebeests ?